■ MALAWI: Ethiopian Airlines confirms talks have begun with Government over 49% stake in Air Malawi, choice of local partner. After being declared the "preferred bidder" for a stake in Malawi's now dissolved national carrier Air Malawi (QM), Ethiopian Airlines (ET) says it has officially entered into negotiations with the government regarding its 49% buy-in. ■ MALAWI: Ethiopian Airlines wins 49% stake in renewed Malawian national carrier. Leading on from our previous post, Malawi's Privatization Commission yesterday declared Ethiopian Airlines (ET) the winner of the 49% Foreign Shareholder stake up for grabs in a renewed Malawian national carrier, set to succeed the quasi-defunct Air Malawi (QM). The Ethiopian national carrier was named the preferred bidder for the position of strategic partner in the new airline, Air Malawi (2012) Limited, based on its "global experience and competitiveness". ► MALAWI: Air Malawi ceases all flights as new foreign investor to be announced in due course. Malawi's beleaguered national carrier, Air Malawi (QM), has officially ceased flights with 243 employees also having been laid off, as the airline is liquidated in preparation for the founding of a new privatized venture, Air Malawi 2012. ■ MALAWI: Ethiopian Airlines, Comair Ltd express interest in 49% stake in Air Malawi. The Malawian government this afternoon announced that a liquidator had been appointed for Air Malawi Ltd (QM) in order to facilitate the speedy settlement of its debts and liabilities as it moves ahead with the restructuring of the struggling national airline. Additionally, a short-list of possible investors has also been announced with Ethiopian Airlines, and twice shy suitor Comair Ltd in the running. ► MALAWI: Air Malawi to be unbundled before privatization. As Joyce Banda's Malawian government pushes on with its cost cutting measures aimed at freeing the ailing African nation's fiscus from millstone parastatals, up for sale is Air Malawi (QM) Ltd, in which the Malawian Government has pledged to honour all the national flag carrier's debts and liabilities as part of a deal sweetener. ► MALAWI: Air Malawi struggles to get back on feet; rebuild confidence. Having been forced to temporarily cease operations last year due to lack of aircraft, Air Malawi (QM) has been finding the going hard since re-entering the market for both regional and domestic flights. 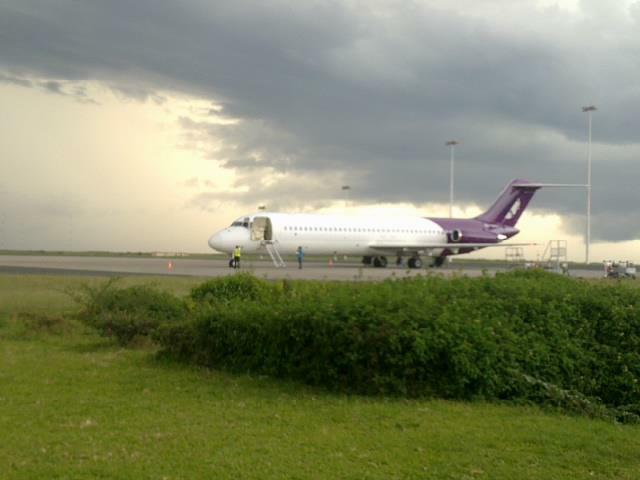 Upon resuming flights on 29 March 2012 to Johannesburg using a leased Boeing 737-200, the airline encountered severe customer backlash as it was forced to fly a solitary passenger to Lusaka shortly after - a phenomenon not unknown to southern African airlines these days. However, in an attempt to woe back passenger numbers on the domestic Lilongwe-Blantyre front, Air Malawi says it has carefully designed schedules for its daily flights between Blantyre and Lilongwe to serve the needs of business travellers between the two cities, using its Boeing 737 and ATR-42. "Air Malawi's Tariffs and Industry Affairs Manager Tony Chimpukuso said the flights have already proved useful and convenient for local travellers as it leaves early in the morning in Blantyre and returns late in the evening to enable customers do all their business assignments during the day. The flights also operate during weekends, according to Chimpukuso." The updates come as Malawi is scheduled to hold a summit of the African Union in July.